Zones can be activated or bypassed individually. Outdoor temperature compensation feature (requires additional card). The XLink BTTN allows you to use your cell phone through your regular home telephones. 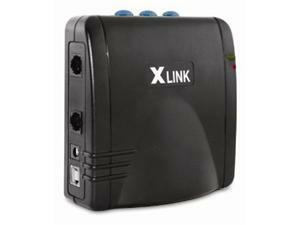 It has all the same features at the XLink BT and also has an additional telephone line input. 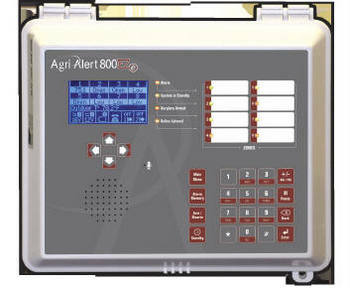 This input can be used to connect to a regular telephone service or a VOIP box. Once setup all your telephone sources: cellular, landline or VOIP will all ring through to your regular telephones!Using Bluetooth® wireless technology, the XLink™ BTTN communicates wirelessly with your cell phones. There are NO extra cables to buy. Whenever your cell phones are placed within range, the XLink™ BTTN will automatically connect to them. The telephone connector output of the XLink works the same as a telephone line from the phone company. You can connect any standard telephone equipment to it. This includes telephones and answering machines. You can even connect it to office phones systems.